Pam Africa and Mumia’s lawyer Bret Grote (Abolitionist Law Center) attempted to visit Mumia at SCI Mahanoy today. The prison barred all visitors today for “health and security reasons”. And this morning Mumia was given a mandatory order to report to the infirmary where he was readmitted. As I was at Prison Radio’s studio in San Francisco on Sunday afternoon, the phone rang. Mumia called in with a message for his supporters. He reached out to us; it’s now time for us to reach out to him. His effort to record a commentary is a testimony to his courage and resilience. Please know that he remains critically ill and needs our support to get lifesaving medical care. Mumia was seen Saturday for 2.5 hours by his wife Wadiya Jamal, and Rachel Wolkenstein. (Listen the audio of their report back here.) This visit revealed that Mumia was critically weakened and experiencing serious symptoms that are often associated with hyper glucose levels, kidney stress and failure, and renal failure. This image below shows the severity of his chronic skin condition, which has resulted in cracked and open wounds over his entire body. His limbs are immensely swollen and he is barely able to walk. 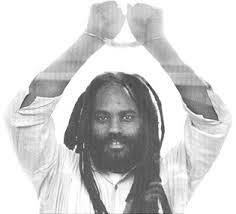 Call now to demand freedom & medical care for Mumia! Mumia’s life is on the line. Your calls, letters, and organizing are what could literally help pull him through this crisis. 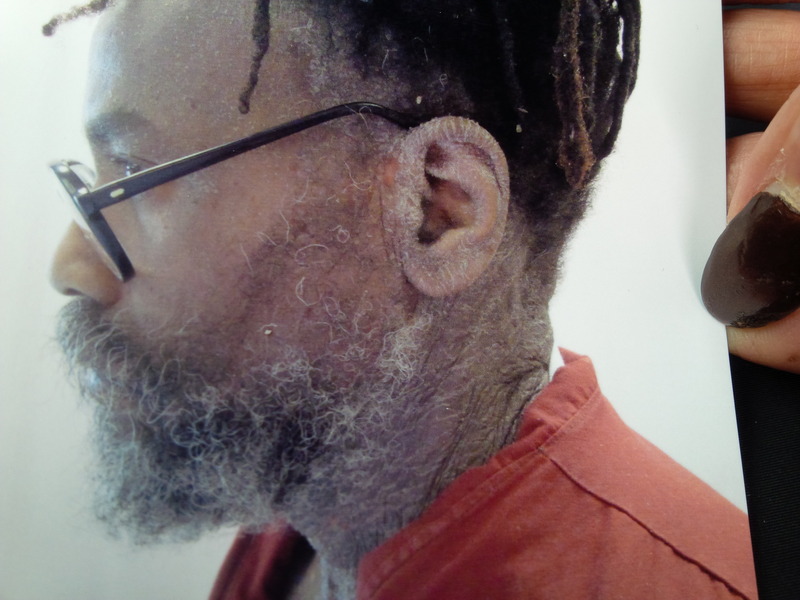 Please support Mumia’s access to medical and legal care by helping us raise over $40,000! The First Amendment‟s guarantee of free speech extends to convicted felons whose expressive conduct is ipso facto controversial or offensive. The right to free expression is the shared right to empower and uplift, and to criticize and condemn; to call to action, and to beg restraint; to debate with rancor, and to accede with reticence; to advocate offensively, and to lobby politely. Indeed, the “high purpose” of the foremost amendment is perhaps best displayed through its protection of speech that some find reprehensible. Johnson, 491 U.S. at 408-09 (“[Free speech] may indeed best serve its high purpose when it induces a condition of unrest, creates dissatisfaction with conditions as they are, or even stirs people to anger.” (quoting Terminiello v. Chicago, 337 U.S. 1, 4 (1949))). The United States Constitution precludes any state enactment that effectively limits expressive conduct when the essential injury is personal affront.13 See Coleman, 335 F. Supp. at 589. The victims who have suffered at the hands of certain plaintiffs are not without remedies. Victims are free to protest inmate speech through demonstrations, picketing, or public debate. They may publish responsive leaflets and editorials. As Maureen Faulkner did, victims may air their grievances to the press. Indeed, the victims‟ discourse may include expressive conduct that plaintiffs themselves find objectionable. The First Amendment does not evanesce at any gate, and its enduring guarantee of freedom of speech subsumes the right to expressive conduct that some may find offensive. 13 To be sure, the right to free expression is not without limitation. Various exceptions permit government regulation of speech which, inter alia, incites imminent violence, see Brandenburg v. Ohio, 395 U.S. 444, 447-48 (1969), includes obscene material, see Miller v. California, 413 U.S. 15, 18-19 (1973), or contains defamatory statements, see Dun & Bradstreet, Inc. v. Greenmoss Builders, Inc., 472 U.S. 749, 757-61 (1985), and nothing set forth in this memorandum should be construed as modifying the existing limitations on the right to free speech. Notably, none of the recognized exceptions applies to the challenged statute. The Revictimization Act falls on the basis of fundamental First Amendment principles. Case 1:Below is the judge’s conclusion.